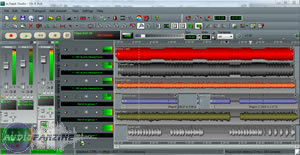 n-Track Studio 6, General Sequencer from Fasoft. 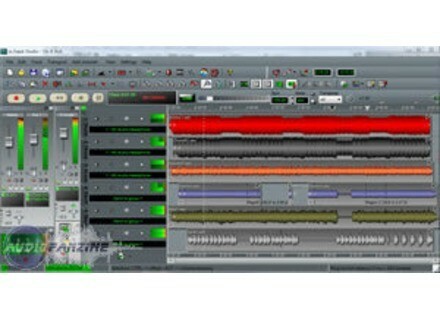 FASoft has updated n-Track Studio to v6.0.3 build 2449. [New Feature] MIDI tracks now have parts similar to audio tracks. [New Feature] When dragging a .wav or .mid file into n-Track (from a folder or from a VSTi plugin such as n-Track Drums or EZDrummer) the program shows where the parts will end up when dropped. [New Feature] Trial period can now be extended obtaining trial registration codes from website. [Compatibility] Compatibility fix for EZDrummer VSTi. [Compatibility] Compatibility fix for Melodyne VST plugin. [New Feature] Ghost copies of MIDI parts allow editing the part once and have the edit reflected on all ghosted parts. [New Feature] Transpose up/down control, supports increments of 1/100 of a semitone. [New Feature] MIDI part transpose. [New Feature] Preferences/MIDI option to save Track settings (volume, pan etc.) as MIDI events in exported Midi file. [Bug Fix] No longer asks to use MIDI file tempo map when dragging and dropping .mid file. [Performance] Faster loading of .sng files that have lots of MIDI parts. More info available at ntrack.com. AppKats.com Transformation LI Bundle AppKats.com has released the Transformation LI Bundle, 15 environment modules to control all parameters of Logic Pro's instruments via external midi gear. Big Fish Audio Releases Epic Drum A collection of cinematic drum and rhythm beds played by percussionists and organized into 40 construction kits (about 3.5 GB of wav data).